Apatite is a blue, green or yellow group of minerals of varying colour due to the minerals in the matrix. Sounding like appetite, coincidently it is good for balancing eating habits. We have apatite within us - in the structure of our teeth and bones, so we resonate with it closely and it can act to amplify other crystals. 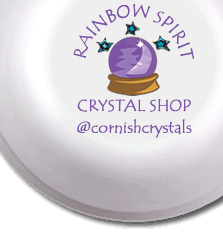 Likewise, the crystal brings strength to us emotionally, enabling us to overcome difficulties. Key Healing Properties: encourages cell regeneration, aids recovery from a bone fracture, aids absorption of calcium, balances eating habits; treats hypertension.